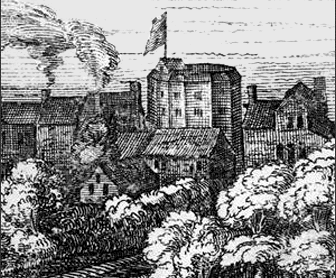 James Burbagebuilt the first Elizabethan amphitheatre in 1576 following the huge success of the plays performed in Inn-yards. The Theatre was built in a similar style, but on a smaller scale, to the Roman Amphitheatres. James Burbage was keen to cash in on the profits made by the plays being performed in Elizabethan England. The biggest of the Inn-yards had a maximum capacity of 500 people the Elizabethan amphitheatre was designed to hold a capacity of up to 3000 people! Similar amphitheatres were later built to house blood sports, such as bear beating at the 'Bear Garden' and Bull Beating at the 'Bull Ring'. These massive places of entertainment would have proved daunting prospects for their builders. The plans of James Burbage and his idea of constructing an amphitheatre were highly ambitious. He had his skills of a carpenter to help him but expert help was clearly required. He knew just the man - Dr. John Dee. 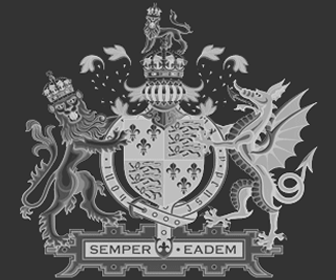 The notorious Dr. Dee was a highly influential Elizabethan. A powerful courtier, he was renowned as a magician and alchemist. A highly educated Elizabethan he was also extremely knowledgeable about architecture and the history of the Romans and, no doubt, Greek theatre. James Burbage relied on Dr. John Dee's help and the use of his extensive architectural library to design the plans for the construction of 'The Theatre'. Dr. John Dee can therefore be named as the Architect of the Elizabethan amphitheatre. Building an Elizabethan Amphitheatre - Speed was the essence. Building the Amphitheaters was about profit. The design of the London Amphitheaters, were guaranteed to house as many playgoers as was possible in a cheap, but impressive, looking building. They were built with timber, stone (flint) and plaster. An Elizabethan amphitheatre took about six months to build. The profit margin of the fixed venue theatres increased more than five-fold with increased audience capacity. Profit also increased as the acting troupes no longer had to spend their time travelling, erecting and dismantling stages and all of the associated expenses which would have been incurred with the inn-yards and paying the inn-keepers. James Burbage wanted to enhance the tarnished reputation of the Elizabethan theatre and its actors. Dr. John Dee clearly helped him to achieve this goal. Building The Theatre in the style of the ancient amphitheatre provided the opportunity to draw strong comparisons with the classical Greek theater thus providing a means to 'legitimise' the Elizabethan theatre. The Roman Amphitheater design was therefore perceived as an excellent idea. Not only did this make perfect financial sense but it also linked the Elizabethan theater of the Renaissance period with the much admired classical theater and literature of the Greeks and Romans. The Elizabethan playwrights, such as Christopher Marlowe, continued this theme by producing Tragedies and Comedies of a similar genre. William Shakespeare himself drew on the history of the ancients in Julius Caesar and Antony and Cleopatra. The huge popularity of the Roman Amphitheater was about to be repeated many hundreds of years later in Renaissance England. The picture at the top of the page depicts the Swan theatre and was sketched by Johannes de Witt, a Dutch traveller. Johannes de Witt visited the Swan on his travels to England and the sketch is dated between 1596-1598. The picture was accompanied by some notes which are probably the single most important source of our information and facts about the internal layout of a London amphitheatre. The information consisted of a diary note together with a sketch of the internal layout of the Swan Theatre. All of the London Elizabethan amphitheatres were similar in design, so the picture of the Swan can be used a good guide to the structure and layout of the old Globe Theatre and other Elizabethan amphitheatres. The Elizabethan amphitheatres which entertained the people in London included The Theatre, Newington Butts, the Curtain, the Rose, the Swan, the Fortune, The Boars Head, the Red Bull, the Bear Garden, the Bull Ring, the Hope and, of course the Globe Theatre.